Graphic Sweaters aren't just for kids and teenagers, now us grown-ups can get in on the fun as well. Designer lines like 3.1 Phillip Lim, Kenzo, and Brian Lichtenberg have brought us the graphic sweater with a grown up twist. You can also find fun and flirty graphic sweaters at reasonable prices at retailers like Zara, H&M, and even LOFT. To keep a grown up sophistication to this look do dark wash jeans (no ripped jeans!) and fall boots. Add in fall accessories like brim hats and scarves. Yes this sweatshirt is from Aeropostle but I must admit they are sort of growing up. They look more like they are trying to be a American Eagle customer then a younger pre-teen customer. And yes I still shop at AE even though I'm over their appeal age (their jeans are the only ones that fit me correctly!). I happened across this sweater online and it was just so me that I had to go to the store and pick it up. 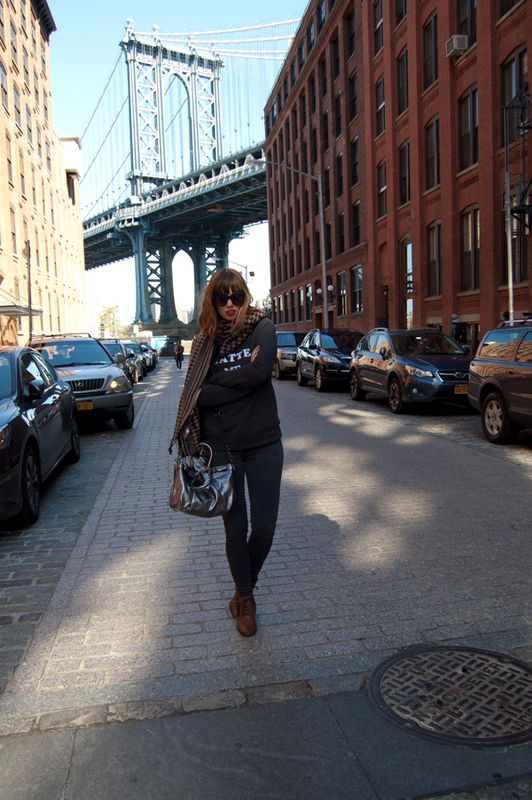 It was a perfect top for a fall Sunday wandering around Brooklyn. What do you think about the graphic sweater trend? 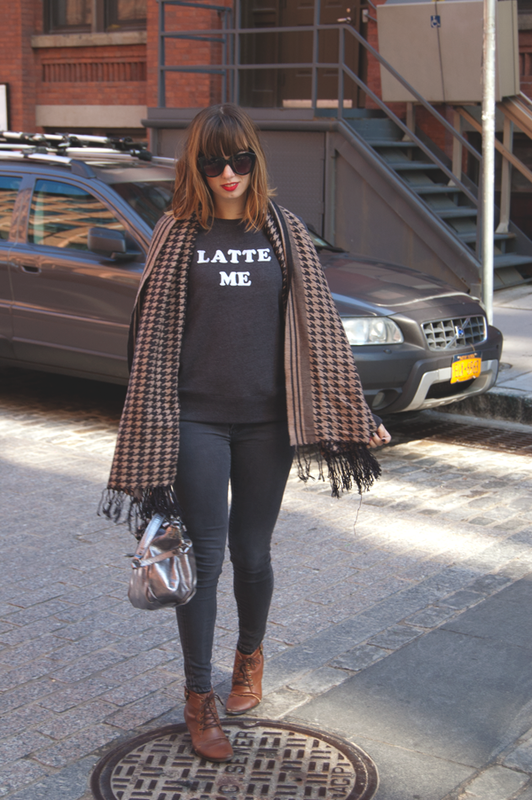 Yay, it's the Latte Me sweater! It's so cute :) I have a partnership with Aeropostale so I do shop there from time to time and I've found really cute things there. And I agree with you on AE jeans- they fit me really well, they're super comfy, and affordable! Love the graphic sweater/t-shirt trend. You look so cozy! I love the scarf. Can you recommend me any favorite street vendors in NYC?